Long time no speak! I hope you're all keeping well? I've recently come back from an amazing trip to Bordeaux, which I will be writing up shortly. However, today I'm feeling pretty unwell and thinking perhaps I caught some kind of bug on the plane or in the airport. I wanted to write up this post for you lovelies before I left, but between one thing and another I didn't get around to it. 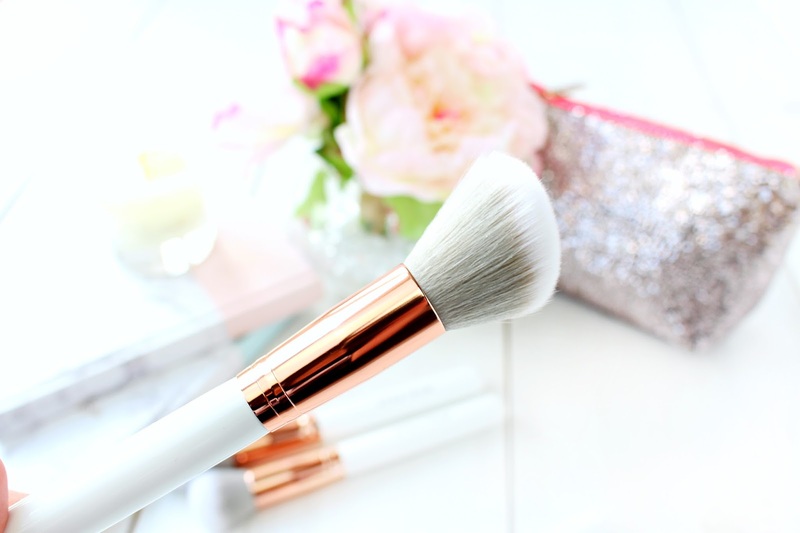 I'm really excited to talk about one of my recent beauty purchases and I have already been a busy bee posting gorgeous pictures of these brushes. I've just checked the Spectrum website and sadly these brushes have sold out whilst I have been away, but I'm sure they will be back soon by popular demand! I hope you enjoy this post my loves and would love to hear from you in the comments section below. 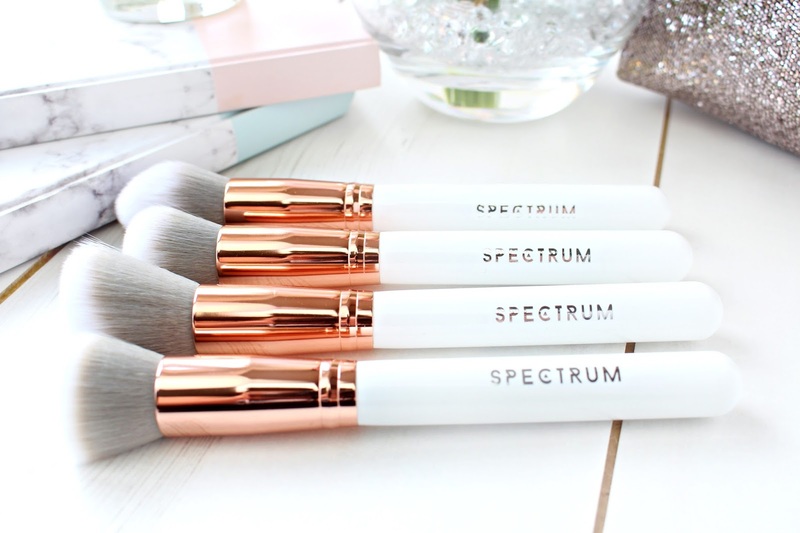 Spectrum have become well known for creating super sassy make-up brushes/tools that aren’t just a pretty face. The quality of these handcrafted brushes is exceptional, as well as being PETA registered and Vegan trademarked cruelty free brand. 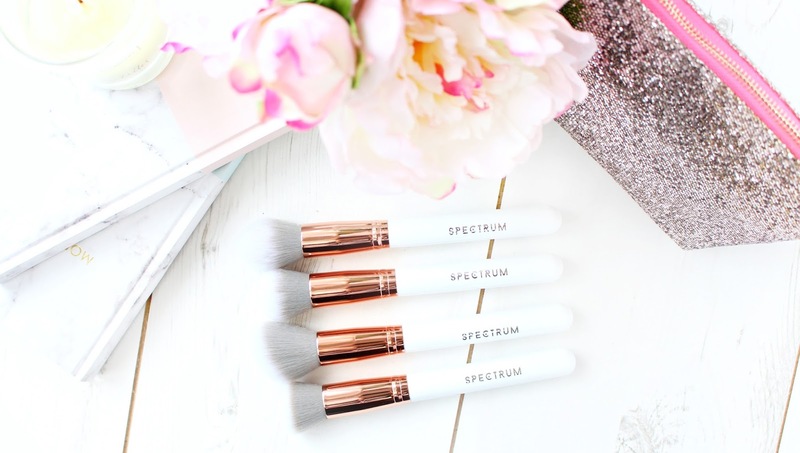 I have been eyeing up their "Glam Clam" which is now back in stock (seriously, you need to check them out) and after deciding that I needed some new face brushes, I headed to the Spectrum website, where I came across possibly the most insta-gorgeous brushes ever! I opted for the face brush collection, which includes four of their best selling brushes over the full collection, as I don't really do that much eye make-up. I've been using them for around three weeks now and I'm in love. 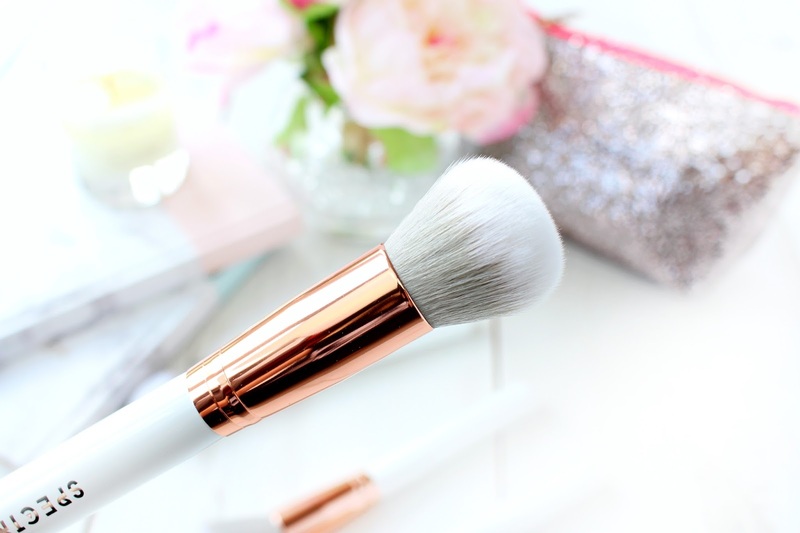 The 4 Piece Marbleous Contour Set have a stunning colour scheme of rose gold, grey and white. The collection consists of their B01 Flat Top Buffer, B02 Domed Buffer, C03 Tulip Powder and finally their C04 Angled Powder brush. 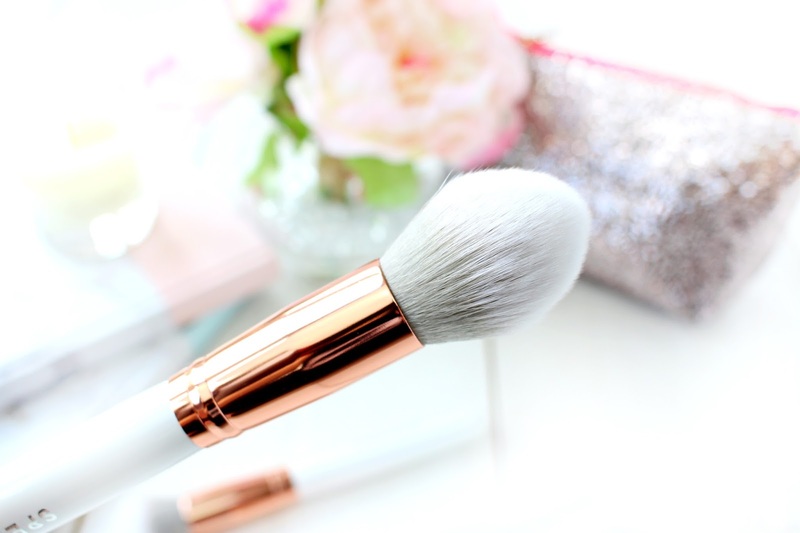 The buffing brushes are best use with cream, liquid or powder foundations and the super soft bristles ensure that you can achieve a gorgeous even finish that can be built up to suit your look. I've been using both brushes every day and I honestly can't pick a favourite, but one thing that's for sure is that you wont experience that nasty streaky effect that some brushes give. 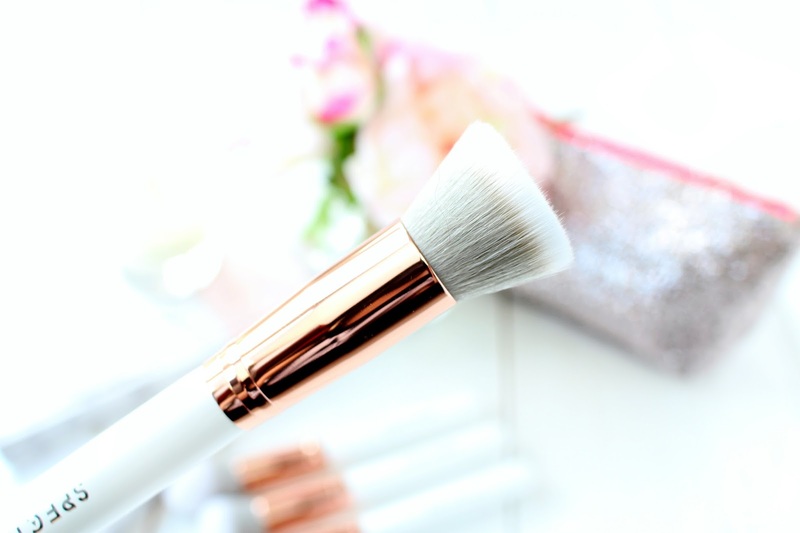 The Tulip Powder brush is great for highlighting and more precision contouring with it's tapered shape, but the Angled Powder brush is equally great at creating a natural contour and both can be used to dust powder or to add a pop of colour to your complexion. Overall, I'm SO impressed with these brushes and they really aren't just a pretty face! The quality of these brushes is incredible and it's also great that they are a cruelty free brand. One thing I would like to see in the future is the name of the brush (B02) actually on the brush, which I think just makes it a little easier to identify, but no biggie! These brushes are super beautiful, but not the most dense that I have used, but I guess that is more personal preference. I would recommend Spectrum in a heartbeat though, and would love to know if you've tried any brushes from their super sassy collection?